Plants, algae and few bacteria are said to be autotrophic as they are able to prepare their own food, with the help of sunlight, air, and water. Conversely animals like cow, dog, lion, horse, etc. are said to be heterotrophic as they cannot prepare their own food and depends directly or indirectly on others for their nutrition. The mode of nutrition acquired by the living organisms or the way organisms consume their food, they are divided into two main categories, which are Heterotrophic and Autotrophic. Autotrophs are called as a primary producer for the reason that they are capable of preparing their own food to gain energy. While heterotrophs are considered as the secondary or tertiary consumer in the food chain. Our Earth contains various organisms and not just humans. Things which should be wondered are that, where these organisms get their nutrition from? What do they eat? How do they grow and develop? So, by observation and according to the preferences of gaining nutrition, organisms are been grouped under such categories. Here we will go through the remarkable difference between both the categories, with a brief discussion on them. 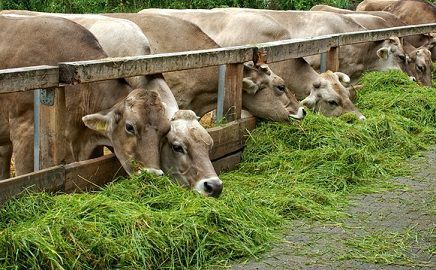 Meaning Such organisms which are unable to prepare their own food and depends on other to obtain their food are kept in this category. These are the producer and prepare their own food with the help of sunlight, air and water. Example Animals like cow, dog, cat, elephant, lion, horse, etc. Mainly green plants, algae and some bacteria comes under this category. Main constituents As heterotrophs does not contain chloroplast and so are unable to prepare their own food. Autotrophs like green plant contains chloroplast, so they are able to prepare their own food. Types Two categories: Photoheterotroph and Chemoheterotroph. Two categories: Photoautotroph and Chemoautotroph. Source of energy Heterotrophs get their energy directly or indirectly from other organisms. Autotrophs obtain energy from inorganic sources, where they convert light energy (sunlight) into chemical energy. Dependency Heterotrophs rely on other organisms for the food. Autotrophs are independent of any organisms . Hierarchy level Heterotrophs depends on autotrophs and are placed next on the food chain i.e. they are secondary or at tertiary level. Autotrophs are the primary producer in the food chain. Storage of energy Heterotrophs are not capable of storing energy. 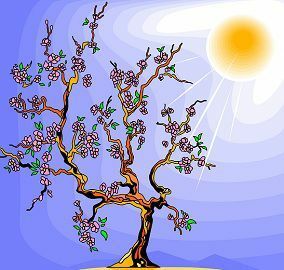 Autotrophs are capable of storing sunlight and chemical energy. Role They act as consumers. They act as producers. Movement Hetertrophs can move from one place to another in search of food. Autotrophs (plants) cannot move from one place to another. A heterotroph is derived from a Greek word where Hetero means ‘different’ and trophe means ‘nourishment‘. So we can say that organisms which obtain their energy by eating plants, animals and decomposing matter are kept under this category. The above reaction is called cellular respiration. This is the process used for making energy, where ATP known as Adenosine triphosphate is the main energy form used by heterotrophs. Herbivores: These are the animals which eat only plants to obtain their energy. Examples are a cow, deer, rhino, etc. Carnivores: These types depend only on other animals flesh to obtain their energy. Examples are a lion, tiger, fox, etc. Omnivores: These organisms basically obtain their energy from both types, which means they can eat plants as well animals. Examples are humans. Decomposers: They have a saprophytic mode of nutrition, which obtains their nutrition from dead and decay matters. An example is a fungus. 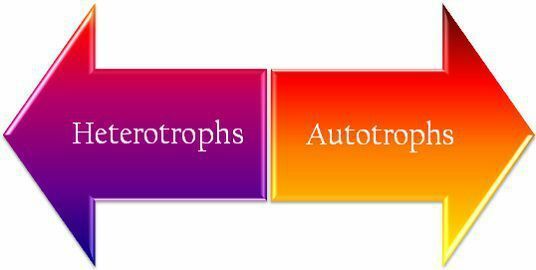 An autotroph is also derived from the Greek word, where auto means ‘self‘ and trophe means ‘nourishing‘. Hence these types are considered as primary producer, which are able to prepare their own food with the help of sunlight, water, and air. Mainly plants with green leaves like from the mosses to long trees, algae, phytoplankton and some bacteria uses a process called photosynthesis, where plants acquire energy from the sun and use them in converting carbon dioxide from the air and water from the soil into a nutrient called glucose. This glucose, which is one of the forms of sugar provides energy to the plants. This glucose is also used to make cellulose, which helps in building cell walls in plants. In fact, they do not need to move from one place to other in search of food. Hence from the above reaction, we can say that they convert light energy into chemical energy. Some autotrophs use another process called as chemosynthesis, in this, they use energy from chemical reactions to make food rather from obtaining it from the sun. Organisms living in extreme environments like bacteria living in active volcanoes, or in deep ocean use this process. Pitcher plants are the exception as they are categorized as mixotrophic, as they obtain their nutrition from plants as well as by eating insects also. Given below are the substantial difference between heterotrophs and autotrophs, on the basis of their mode of nutrition, their dependency, their process of obtaining food, etc. Animals like cow, dog, elephant, rhino, lion, etc. are said to be as heterotrophic, as these animals depends directly on indirectly on others for their food; whereas green plants, algae and few bacteria are said to be autotrophic as they are able to prepare their own food by the process of photosynthesis which needs sunlight, air, water, and sunlight. Heterotrophs are considered as consumers and are placed at a secondary or tertiary level in the food web, while autotrophs are primary producers. Heterotrophs do not contain chloroplast, chlorophyll and hence are unable to prepare their own food, also depend on other for obtaining energy. Autotrophs contain chloroplast, chlorophyll and hence are able to produce their own food and depends on sunlight, air, and water for the preparation of food. Heterotrophs are able to move from one place to another in search of food, autotrophs are not able to move. Heterotrophs obtain their energy directly or indirectly from other organisms, while autotrophs obtain energy from inorganic sources, where they convert light energy (sunlight) into chemical energy. Heterotrophs depend on autotrophs for their food, while autotrophs are not. From the above discussion, we can say that both kinds of nutrition are equally important in order to maintain the food chain of the biosphere. As every living being confides on each other in some or the other way. We can say that autotrophs are called ‘self-feeders’ while heterotrophs are called ‘other feeders’.